Botox Astoria, Botox Injections In Astoria New York - James Christian Cosmetics. Are you concerned about your facial features and how aging has affected your skin as well as your underlying muscles? Are you willing to take matters into your own hands, so to speak, to make some remarkable changes? Are you interested in real, noticeable results, with no surgery and no recovery time? If you could find a way to achieve an authentic-looking appearance that doesn't overdo or alter your natural look would you be inspired to make some changes? If so, we can give you a complete treatment plan that addresses each of your facial concerns, no matter what your aesthetic goals are for a more youthful appearance. We are known for sitting with patients for as long as needed to answer questions and customize a treatment plan that will be most effective while working within your budget. The passion of beauty enhancement is the cornerstone of James Christian Cosmetics. We look at your natural beauty and enhance it at a steady methodical pace, striving for perfection as well as a pain free procedure. Our on-site facial filler & injectable expert is James Christian Sardelli, a Registered Physician Assistant - Certified (RPA-C). 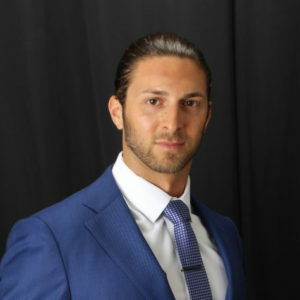 He is also the owner and operator of James Christian Cosmetics, our high-end BOTOX® and Facial Filler clinics located across New York City and Long Island. His subtle technique, accompanied by a light touch of the hand, gives patients a relaxed state of mind before any procedure. His bedside manner creates a comforting experience from the moment your dialogue begins. His keen eye and attention to detail allow patients to enjoy natural-looking results. He prides himself on safety and superior results with every injection. BOTOX® paralyzes the muscles by preventing the release of a chemical in the muscles called acetylcholine, effectively blocking the nerve impulses to the injected muscles from causing moderate to severe lines to form on the face. Once this chemical has been blocked, the muscles are effectively unable to move. Directly after the injections, the treated areas may be tender and slightly red. These are normal reactions that the body has to both the BOTOX® solution as well as from the needle. Our affiliates range from cosmetic injectables supplied by Allergan, Merz, Invasix, Cynosure SmartLipo, and many more. James can help you decide which combination of non-surgical treatments is right for you as he is skilled at performing such skin treatments as Vampire Facelift®, MesoGlow, dermal fillers, lip plumping, wrinkle treatments, Dermapen® microneedling, and liquid facelift.